In keeping with Susanna Fritscher's work on light for its reopening, the Musée d'arts presents a selection of works by American artist James Turrell. 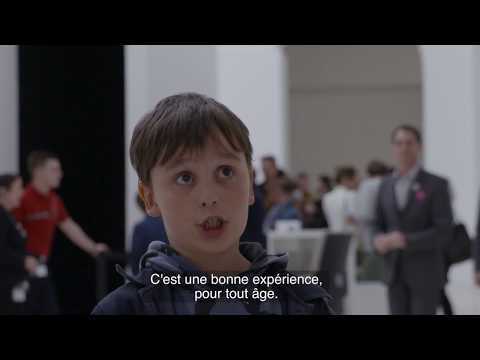 It becomes your experience invites the visitor to immerse into the heart of the immaterial and sensory work of this major artist of the international contemporary art scene, rarely presented in France. He studied perceptual psychology and began to use light as a medium in California in the mid-1960s, probing the limits of human perception. His initial research produced the iconic Projection Pieces series, which he presented at his first solo exhibition in 1967 at the Pasadena Art Museum. His works were designed using high-intensity projectors to cast light which creates the illusion of three-dimensional volume. The artist then gradually began to partition off the space to differentiate between the viewer space and the space containing the light, culminating in his Space Division Constructions. James Turrell then turned the sky itself into a light-space to be viewed, by creating apertures in the roofs of buildings. Since 1974, he has been working on Roden Crater, a monumental observatory, devoted to different ways of contemplating celestial light from within the crater of a volcano. The exhibition is organised around three groups of works, each reflecting a pivotal moment in James Turrell’s artistic practice: Projection Pieces (1966) with the two series of prints First Light (1989-1990) and Still Light (1990-1991); the immersive spaces Cherry (1998) and Awakening (2006); and lastly, drawings, aerial photography and models relating to Roden Crater. In 1976, James Turrell began to create a new group of works entitled Space Division Constructions. The rooms which house these works are autonomous environments divided into two distinct sections: the “viewing space” which the spectator enters and the “sensing space” where the light is produced. The two spaces interact to create an unsettling and hypnotic sensation. Cherry belongs to the Apertures series: a window resembling a frame has been cut out of the wall separating the two spaces. In the room in which the viewer is positioned, two projectors light up the side walls and are adjusted so that their light does not enter the sensing space beyond the window. The sensing space, by contrast, is indirectly lit. The viewer can see an ambient light which fills the space and adds colour – red in this instance. Unlike the lighting in the viewing space, light is not used to define the physical boundaries of the space, but to create an illuminated sense of volume which the artist calls an “atmosphere”. These works are designed in such a way that it is not so much the artist as the viewer who has the ability to bring the works to life: “it becomes your experience”. Exhibition realized with the assistance of Almine Rech Gallery and Fundación Almine and Bernard Ruiz-Picasso para el Arte (FABA). 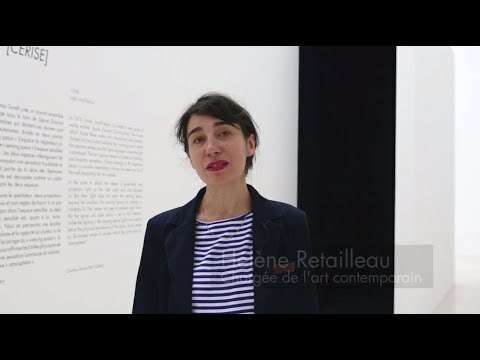 Chief curator: Sophie Lévy, director-curator, Musée d’arts de Nantes. 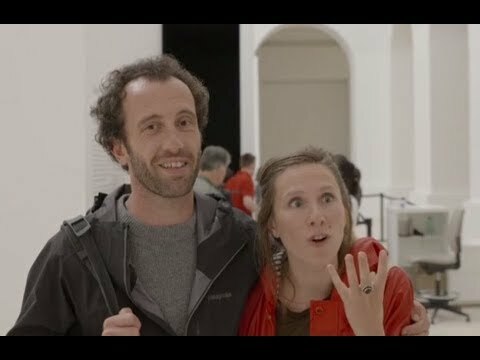 Curator: Alice Fleury et Hélène Retailleau, in charge of contemporary art collections, Musée d’arts de Nantes. James Turrell devant son projet du Roden Crater, octobre 2001. Photo : Florian Holzherr © 2018 James Turrell. James Turrell, Cherry, 1998, installation lumineuse – dimensions variables. Courtesy of the Artist and Almine Rech Gallery © 2018 James Turrell. James Turrell, Cardinal Spaces on Fumerole I, 1993, dessin à la cire, cadre métallique, 137 x 160 cm (encadré). Courtesy of the Artist and Fundación Almine y Bernard Ruiz-Picasso para el Arte © 2018 James Turrell. James Turrell, Roden Crater : Basic Flour Plans (Survey), 1991, cire photographique, émulsion photo, huile, pastel, acrylique, encre et graphite, 101,7 x 102,7 cm (encadré). Courtesy Fundación Almine y Bernard Ruiz-Picasso para el Arte © James Turrell. James Turrell, Awakening, 2006, installation lumineuse, 306,5 x 206,5 x 70 cm. Courtesy Fundación Almine y Bernard Ruiz-Picasso para el Arte © James Turrell. The museum is open from 10am to 7pm, until 9pm on Thursday. On Tuesdays, only the exhibition James Turrell.It becomes your experience is open from 10am to 7pm, the other rooms of the museum are closed (full price: 4 € / reduced price: 2 €).